Readers will recall that last month I had a series of posts asking trivia questions relating to international law (see here). Many of those questions related to the practices of international tribunals and the International Court of Justice in particular. The questions had a special focus on voting practices at international tribunals. Before I started the series, I promised a prize for one person who was successful in answering the trivia questions. The prize is a years free subscription to the European Journal of International Law. I apologize for not getting round to announcing the winner till now. In fact we have two prize winners! Our first winner is Tamás Hoffmann (left) who is Lecturer in law at the Corvinus University of Budapest, Hungary. 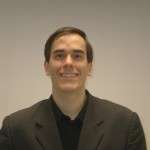 Tamás has a PhD from ELTE Budapest and an LLM in Public International Law from King’s College London. He responded to most of my questions and got his answers correct. His depth of knowledge of ICJ and PCIJ cases is very impressive indeed. Our second winner is Daniel Wisehart (right), licence en droit, First State Exam completed in 2012, who studied at the University of Potsdam and the Universié Paris Ouest La Défense. 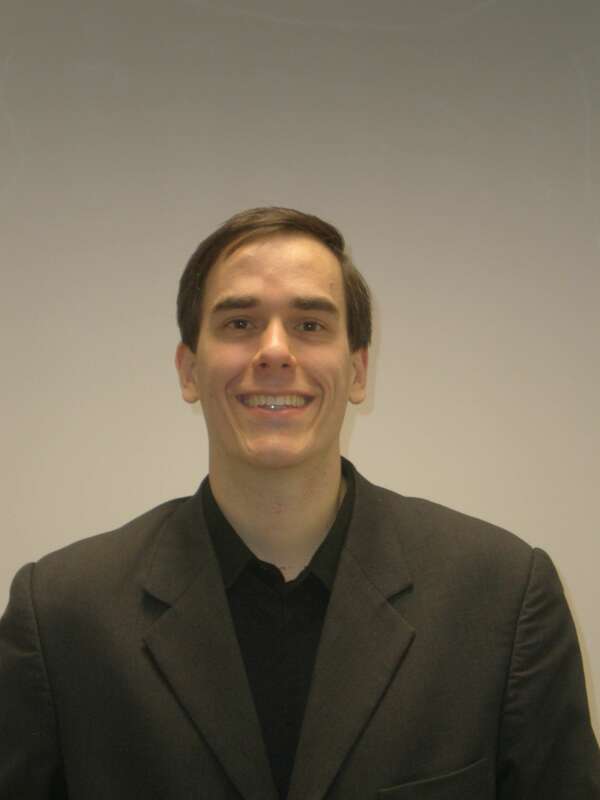 He is currently a PhD Candidate at the University of Potsdam and working as an associate with Professor Robin Geiß on legal problems surrounding international drug control. Daniel also responded to most questions but we were particularly impressed with his response to my question on cases at the ICJ where no judge has issued an individual opinion (separate or dissenting). Not only was he able to give the answer with regard to the ICJ he also pointed out the position at the PCIJ, noting that in the 1920s most PCIJ decision were issued without individual opinions but that this changed in the 1930s. He then offered a reason why the practice might have changed. Tamas then followed up with a further explanation. The Guardian reports that the United Kingdom has denied a United States request to use UK military bases in Cyprus as well as in the Atlantic and Indian Oceans for a buildup of military forces in the Gulf. Apparently, the US requests have been made as part of ‘routine’ contingency planning for potential military action against Iran. In rejecting the US requests, British Ministers are reported to have acted on legal advice from the UK Attorney General to the effect that preemptive military action would be unlawful under international law. ‘[British Ministers and Downing Street]have pointed US officials to legal advice drafted by the attorney general’s office and which has been circulated to Downing Street, the Foreign Office and the Ministry of Defence. It states that providing assistance to forces that could be involved in a pre-emptive strike would be a clear breach of international law on the basis that Iran, which has consistently denied it has plans to develop a nuclear weapon, does not currently represent “a clear and present threat”. The Court of Appeal decision overturns a ruling from the High Court of Mombasa, which concluded that, “[Kenyan] Courts can only deal with offences or criminal incidents that take place within the territorial jurisdiction of Kenya.” For an excellent analysis of the lower court’s decision, I would point readers to this post on Communis Hostis Omnium. On Friday the European Court of Human Rights delivered its Grand Chamber judgment in Catan and Others v. Moldova and Russia, nos. 43370/04, 8252/05 and 18454/06, yet another case on the ECHR’s extraterritorial application, dealing in particular with the Convention’s application to the separatist republic of Trandniestria in Moldova (link to judgment). The case is in effect a sequel to the Court’s earlier judgments on Transdniestria in Ilascu and Ivantoc, this time dealing however with a significantly different factual pattern. The applicants were Moldovans who lived in Transdniestria and who were at the time of lodging the application pupils at three Moldovan-language schools and their parents. They complained under Article 2 of Protocol No. 1 to the Convention and Article 8 of the Convention, taken alone and in conjunction with Article 14 about the closure of their schools and their harassment by the separatist Transdniestrian authorities. The reason for this harassment was basically a policy of Russification by the Transdniestrian authorities whereby schools in the region could only operate in and teach the Moldovan (i.e. Romanian) language as written in the Cyrillic alphabet, rather than the much more commonly used Latin one. In short, the applicants’ education became embroilled in language politics, very similar for instance to those in the Balkans. [T]he “MRT” [Transdniestria], set up in 1991-92 with the support of the Russian Federation, vested with organs of power and its own administration, remains under the effective authority, or at the very least under the decisive influence, of the Russian Federation, and in any event that it survives by virtue of the military, economic, financial and political support given to it by the Russian Federation. … [T]here is a continuous and uninterrupted link of responsibility on the part of the Russian Federation for the applicants’ fate, as the Russian Federation’s policy of support for the regime and collaboration with it continued beyond 5 May 1998, and after that date the Russian Federation made no attempt to put an end to the applicants’ situation brought about by its agents, and did not act to prevent the violations allegedly committed after 5 May 1998. Ilascu was notable for several reasons. First, it apparently applied the spatial model of Article 1 jurisdiction as control of an area while lowering the threshold of the needed control (the ‘decisive influence’ bit). Secondly, it completely confused jurisdiction with responsibility; it was utterly unclear from the case whether the Court considered all acts of the MRT to be attributable to Russia, apparently on the basis of a sui generis rule on attribution of conduct that hardly seemed compliant with the ILC’s work on state responsibility or the jurisprudence of the ICJ, or rather whether Russia was held responsible for failing to comply with a positive obligation to prevent human rights violations by non-state actors (the MRT) operating in an area under its jurisdiction. Third, the Court also found that Moldova had positive obligations in the MRT despite having lost control of the territory, a (human rights-friendly) ruling that in my view compromised the purely factual nature of the Art 1 jurisdictional tests for the sake of a rather vague positive obligation which did not amount to much in practice anyway. Here comes Catan, which provided the Court with the opportunity to revisit some of these points. What distinguishes Catan and Ilascu is primarily the lapse in time with regard to the facts of the two cases, during which Russia’s control over Transdniestria arguably decreased. Moreover, unlike in Ilascu Russian authorities had no involvement in the harassment of the applicants and the interference with their right to education. The Court thus had to build upon Ilascu, and that it did, producing a rather mixed (if again human rights-friendly) outcome. In brief, it found that both Moldova and Russia retained jurisdiction over Transdniestria; that Moldova this time did comply with its positive obligations; but that Russia was to be held reponsible for a violation of Art 2 of Protocol 1, and was as a consequence liable for significant damages. At the last meeting of our Editorial and Scientific Advisory Boards I announced the beginning of a discussion which, in my view, will be the most fateful for the future of EJIL since its founding 23 years ago. There are two linked issues which inform this discussion and they can be stated simply enough, though resolution and decision will be anything but simple. Should EJIL continue to be published in both hard copy and digital versions or should it move to digital only? And should EJIL continue to be published by an academic press such as our current publisher, OUP, or should it become self-publishing? The two issues are linked because if we decide that there is virtue (my current belief, but increasingly a minority one, I suspect) in continuing to publish a hard copy paper version of EJIL, then we will have to continue to use the services of an academic or commercial press (the distinction between the two is increasingly blurred these days). The latest issue of EJIL (Vol, 23, Issue no. 3) has just been published. We open this issue with an article by Alan Boyle, who grapples with the future of environmental protection in international law viewed from a human rights law perspective and in relation to three different aspects (i) procedural rights, (ii) the controversial notion of a right to a decent environment, and (iii) the extraterritorial application of existing human rights treaties to transboundary pollution and climate change. In all three fields, two related questions appear fundamental: Would it be appropriate to go beyond a mere greening of the existing human rights law coupled to a judge-made law approach? If so, which international institutions, mechanisms and instruments could or should be mobilized? If the plurality of legal orders is undeniably one of the parameters to take into account when answering these questions, it is also an issue which lies at the basis of the Symposium organized by the American and European Societies of International Law (ASIL and ESIL), with additional support from the Hague Institute for the Internationalisation of Law (HiiL) Project on Transnational Private Regulation, and published in this issue. The symposium, regrouping the contributions of Fabrizio Cafaggi, David D. Caron, Daniel Bodansky, Gregory Shaffer, Francesco Francioni, Petros C. Mavroidis, Elisa Morgera, and André Nollkaemper, aims indeed to define the multi-faceted notion of global public goods (GPG). Foundational issues are thus discussed, such as the conceptual and analytical frameworks for understanding GPG; the modes and technologies of protection of GPG and the related governance and legitimacy issues that such techniques raise; the value that the concept of GPG adds to discourse within international law, and vice versa, the value that an international law perspective adds to our understanding of GPG. These foundational issues are also discussed through analysis of specific instantiations of GPG, such as international cultural goods, free trade, and environmental protection. International Law Weekend 2012 – the premier international law event of the fall season, will be held on October 25-27, 2012, in New York City. The overall theme of ILW 2012 is Ideas, Institutions, and Interests – Dynamics of Change in International Law. International Law Weekend is sponsored and organized by the American Branch of the International Law Association (“ABILA”). The unifying theme for this year’s meeting is to explore the mechanisms of change in international law. The weekend opens at 6:30 p.m. Thursday, October 25 at the New York City Bar Association at 42 West 44th Street, in mid-town Manhattan with a blazing panel on China — with former U.S. Ambassador to China Winston Lord, NYU Law School human rights expert Jerome Cohen, China environmental expert Liz Economy of the Council on Foreign Relations, legal eagle John Crowley of Davis, Polk and Wardwell, and Professor Ben Liebman of Columbia Law School — followed by a free cocktail reception.